Oh, hey there. How nice of you to pop in. It's been a while. Sit down, we've got something really cool for you. You know how WeirdSexy has been busy and stuff, and our last few releases didn't have any release videos? Well, we've got a surprise for you. No, WeirdSexy isn't back just yet, but we do have a video for you. It's a retrospective of the past few releases. So though WeirdSexy may be missing, sit back and let Atahualpa take you through our past few releases in these Forgotten Release Commentaries. Subtle, but gorgeous. As an added bonus, OpenMW can now automatically use normal maps if it answers to the naming scheme. As Scrawl explains it: "This is now implemented. For example, for the color texture foo.dds, the game will automatically use foo_n.dds as a normal map (if it exists). The benefit is that you don't have to go around modifying (and distributing) all the .nif files / mesh files." But normal maps are not everything. 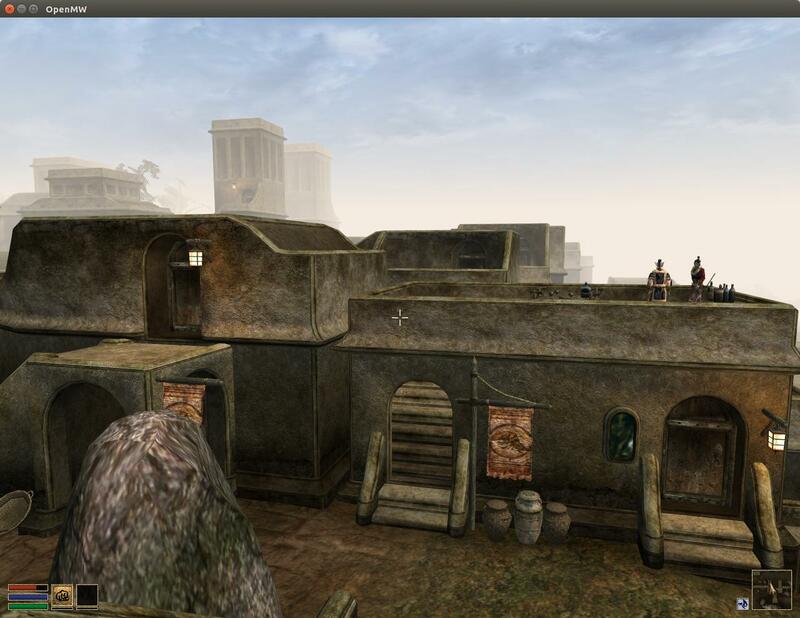 OpenMW now supports specular maps too, and both specular and normal maps can be used with the terrain shader. There's also been some significant progress on the OpenMW-CS side of things. For one, we've got the cell markers and cell borders visible now. Also, you can now drag-and-drop stuff from the Objects table into the 3D view of a cell, and it will appear, right there. So if you have made a really cool item, and you want to drop an instance of it somewhere in the world, now you can. Next up: in-scene instance editing. Ooooh. Can't wait to see what Zini is doing with that. Well, see you next time when we have more cool stuff to show! Last edited by Okulo on 06 Mar 2016, 15:38, edited 1 time in total. Well done. - But where's the cell preloading? Very cool, continuously improving, Thanks everyone!